Blue-chip conglomerate Aitken Spence PLC posted a pre-tax profit of Rs. 2.1 bn for six months ended 30 September 2012, an increase of 51.5 per cent from the corresponding period last year. The impressive half-year results released to the Colombo Stock Exchange on Wednesday show a rise of 40 per cent in group revenue to Rs. 18.6 bn. Profit attributable to shareholders increased by 53.4 per cent to Rs. 1.37 bn while earnings per share rose by 53.4 per cent to Rs. 3.38, over the corresponding period. 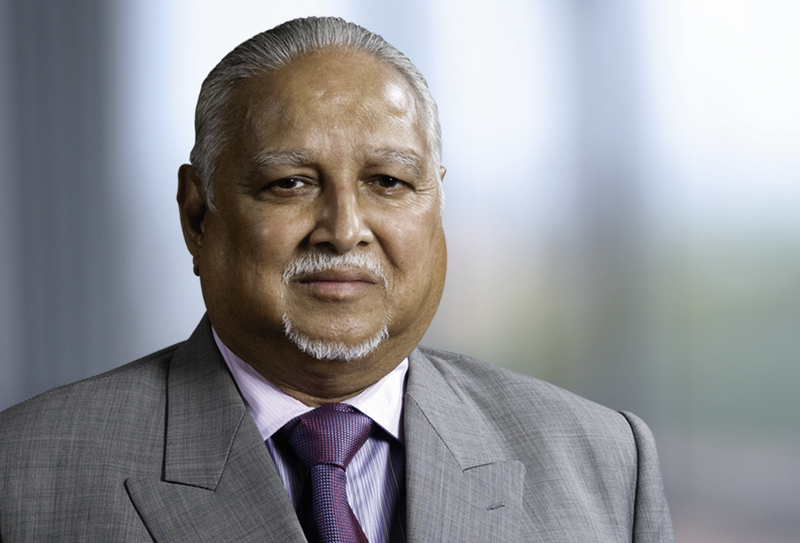 “I am pleased to present yet another period of remarkable growth for Aitken Spence where profit before tax has grown by over 50 per cent for the first six months of the financial year. Our growth has been fuelled by an outstanding performance by our tourism sector” said Deshamanya D H S Jayawardena, Chairman of Aitken Spence PLC. “We strongly believe that given the right conditions to operate, the private sector in Sri Lanka could be the primary driver for sustained high growth in the Sri Lankan economy. We welcome the steps undertaken and promised by the government to encourage private sector investment in the country”, Mr. Jayawardena added. He further stated, “In the present global context of turbulence and uncertainty, we see a clear opportunity for Sri Lanka to position itself strongly as a preferred destination for high-value travellers. Hence, we believe that a robust private sector-led destination promotion strategy that underscores the country’s unique set of diverse attractions would help Sri Lanka’s brand positioning internationally”. Aitken Spence is the country’s largest resort operator with a chain of international award winning hotels across the country. Known for setting benchmarks in environmentally friendly operations, two of its hotels in Sri Lanka were recognized as the most energy efficient and the best for green practices and architecture during the last quarter. Aitken Spence Travels, a joint venture with TUI, the world’s largest tourism company, is the largest inbound tourism operator in Sri Lanka with a network of over 200 leading tour operators in all major tourism generating markets. Contribution from the Strategic Investments sector, which includes Power Generation, grew considerably when compared with the previous year. During period under review, Aitken Spence commissioned two wind and hydro power plants connected to the national grid, whilst its largest power plant in Embilipitiya was in full operation throughout the entire period. The Company was successful in winning two tenders for power generation in Bangladesh which will comprise a total capacity of 200MW. Aitken Spence PLC was adjudged as the Best Corporate Citizen in Sri Lanka for 2012 by the Ceylon Chamber of Commerce recently, which the Company believes is a testament to its long-standing commitment to create sustainable value to all its stakeholders, thereby driving reliable growth. Heritance Tea Factory walked away with the Best Green Hotel and Energy Conservation Champion Awards at the recently concluded EU-SWITCH Asia Greening Hotels Awards – 2012. The event was organized in conjunction with the prestigious annual CSR Awards of the Ceylon Chamber of Commerce to recognize the enhanced environmental performance of the hotels registered with the Project. Greening Sri Lankan Hotels is a European Commission funded project under the Switch-Asia programme targeted at enhancing the environmental performance of Sri Lankan hotels through improvement of energy, water and waste management systems while reducing the cost of operations and increasing the market acceptance that in turn promotes the hotels as ‘low carbon foot print green hotels’. The Chief Guest at the event was Hon. Anura Priyadarshana Yapa, Minister of Environment, while the Guest of Honour was Bernard Savage, Head of the Delegation of the European Union to Sri Lanka and the Maldives. The keynote address at the event was delivered by Biren Bhuta, Head of Corporate Social Responsibility TATA Steel India. Heritance Tea Factory a concept hotel was a 60-year-old dilapidated tea factory that was remodeled and conserved to a hotel. Since it commenced operation in 1996, Heritance Tea Factory has become one of the world’s most unusual places for a holiday where one can truly experience life as it were on a tea estate during the colonial era. The Hotel was re-branded as a ‘Heritance’ property in late 2009 after its complete refurbishment. Recognising that hotel does not stand in isolation but is part of its social and ecological environment, Aitken Spence Hotels sought a name that conveyed its commitment to the local community, its environment as well as to the expectations of discerning guests. Thus: Heritance – a merging of heritage and inheritance was established. “We have over the years strived hard to improve our conservational practices while offering our guests luxury comforts. Guests and staff are actively encouraged to participate in energy, water and waste reduction. We are extremely proud to be recognized for the initiatives we have made over the years”, said Mr. Roshalal Perera, Executive General Manager, Heritance Tea Factory. The Hotel has stringent policies on monitoring and recording energy usage which are maintained and audited through internal audits as per the environmental management systems which has been certified for ISO 14001 and Earth Check Silver certification. 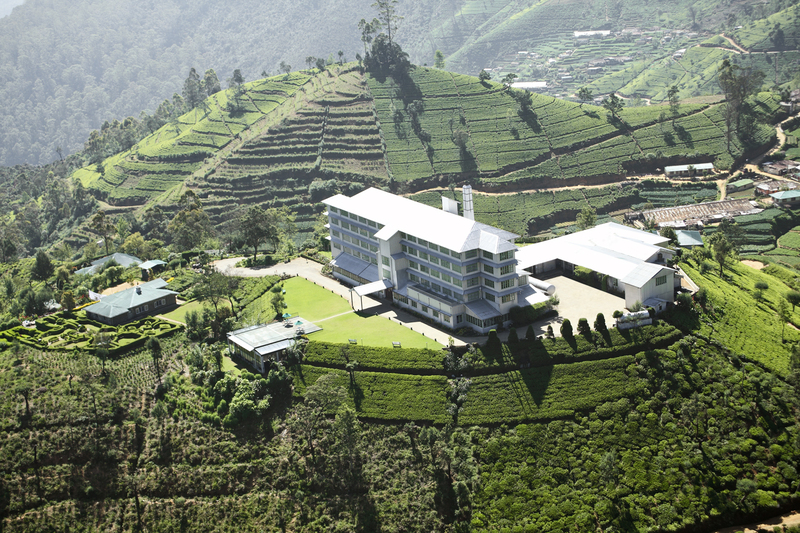 Heritance Tea Factory pioneered in introducing bio mass energy for the hospitality industry in Sri Lanka. The bio mass gasification plant introduced in 2007 uses a renewable source replacing the usage of depleting imported diesel. The quantity of Carbon Dioxide emitted is drastically reduced while foreign exchanged used to import fuel is saved. Further the community is financially benefited by the providing of wood to the Hotel to be used for the gasifier. All waste water generated by the Hotel is recycled and reused. This helps the Hotel save substantial amount of fresh water consumption. Aitken Spence Hotels has graduated from a “Three R’ to an internally developed “Seven R” recycling and conservation system, where all waste is turned into a resource. All kitchen waste from the property is used to produce bio gas which in turn is used to produce green tea at the Mini Organic Tea Factory, while the residual compost is used for growing organic tea and vegetables. Heritance Hotels are renowned world over with distinctive and one of a kind architecture that is in sync with its natural surroundings. The brand places great importance on focusing on luxury that can be sustained, with minimum impact on the environment and communities in which they operate in. Indian food has always been intriguing, the aroma of spices and various ingredients used to create the magic of its taste, explains its appeal. Diners at Heritance Ahungalla, Heritance Kandalama and The Sands by Aitken Spence Hotels were treated to scrumptious Indian delicacies prepared by a connoisseur of Indian food and global culinary expert – Chef Vishal Singh Kunwar. With more than two decades of experience in authentic Indian food, Chef Vishal is presently the Master Chef at Hotel Sahara Star- a five star deluxe hotel situated at the heart of the city Mumbai. Having mastered the art of Indian food quite early in his career, Chef Vishal has an extensive work experience in leading hotels of India and abroad. He has worked with major players like Hotel Sheraton- Dubai, Hotel Al-Aktham-Muscat, Hotel Taj Palace- Nairobi, JW Marriot- Mumbai, The Club -Mumbai, Copper Chimney- Mumbai and The Sea Princess- Mumbai to name few. 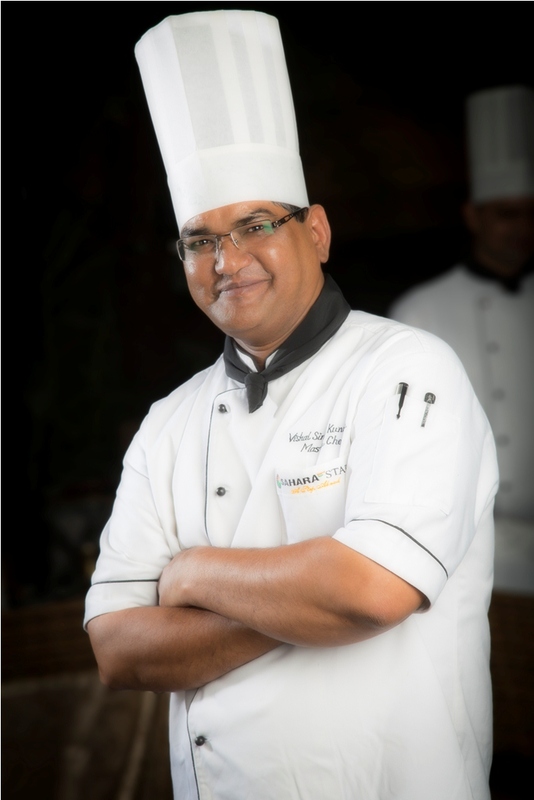 Chef Vishal believes that India having a rich and diverse culture means that there is so much to explore in cuisine. A perfect amalgamation of patience and hard work, Chef Vishal’s persona has made him a leader as he trains and manages his team with great acumen. Chef Vishal was assisted by Chef Rohit Kene and Chef Dhanpal Singh Negi, both possessing extensive experience in preparing authentic Indian cuisine. Chefs from Heritance Resorts will be visiting Hotel Sahara Star in mid November and will tantalize guests in Mumbai with Heritance cuisine. Heritance cuisine showcases a unique gastronomy. It is built on authentic Sri Lankan cuisine developed not only through generations of tradition but by using the latest scientific advancements and outstanding culinary skills of the brands internationally award winning chefs. Sri Lankan cuisine, which we have inherited, is based on local ingredients and enriched by the history of influences the island nation has faced over its long history.